Today’s Flash Back Friday takes us to Episode 75 with filmmaker Michael Murphy, from July 2012. 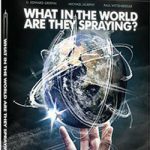 In this episode, Jason Hartman talks with filmmaker and activist, Michael Murphy about chemtrails in our skies. Michael breaks down the differences in the things we’re seeing up in the sky, specifically about the importance of if the trail dissipates or not. The two also discuss geoengineering, which is supposedly helping global warming, where Michael has seen some studies that seem to show it’s doing more harm than good. He doesn’t stop there either. Michael explains the environmental hazards that can happen when we put aluminum oxide, barium, and ethylene dibromide into the air. We’re actually turning our acidic soil to alkaline. Our solar panels are being hampered by our chemtrails, and we’re aiding the GMO sales. The not so shocking revelation is that money and power are behind all of this, and Michael explains how he knows this. What’s the Difference Between Contrails and Chemtrails?